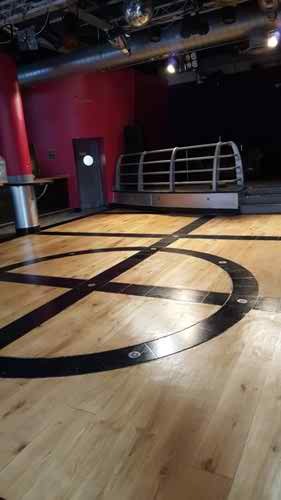 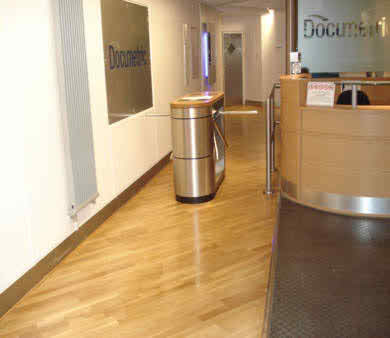 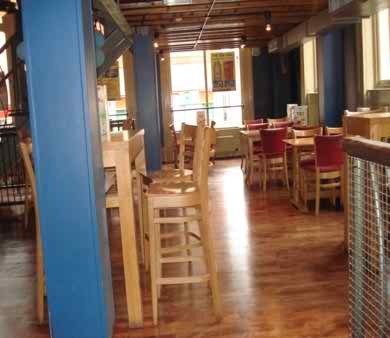 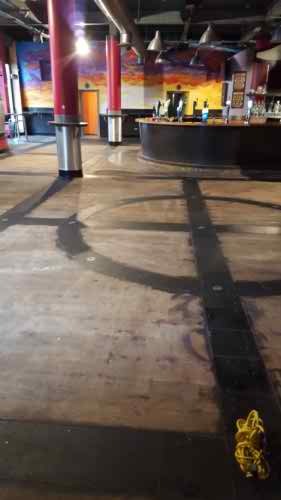 Documentric, Hellaby floor sanding and four coats of heavy duty varnish applied to protect the floor against the heavy wear. 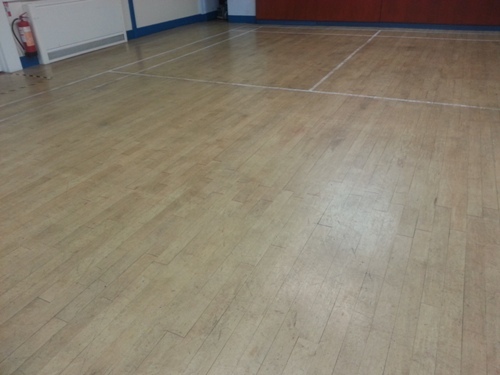 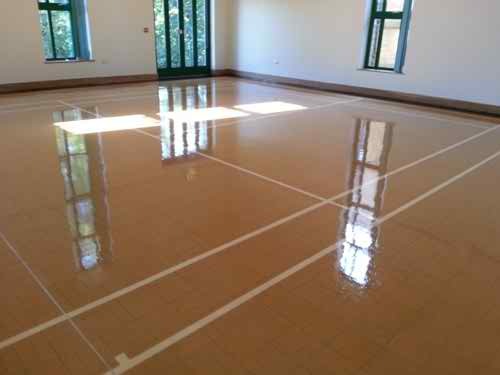 Gymnasium floor, sanded and re sealed with four coats of heavy duty water based satin finish varnish, Badminton court lines marked and painted. 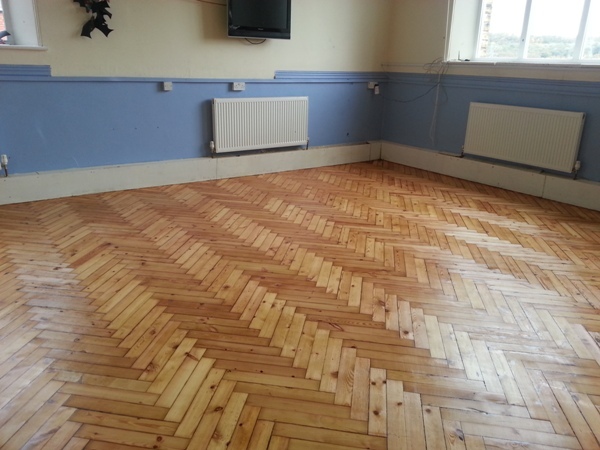 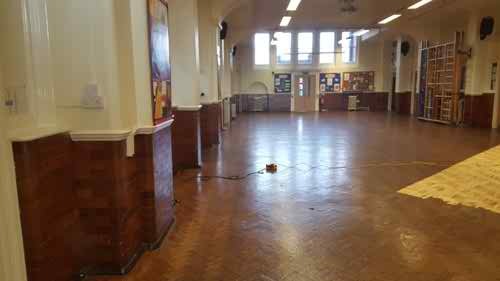 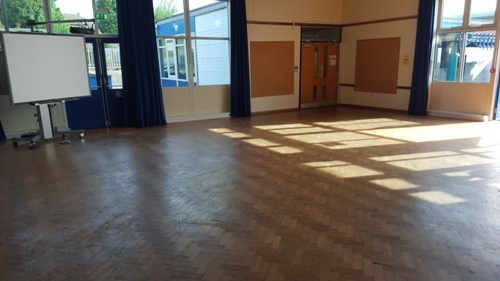 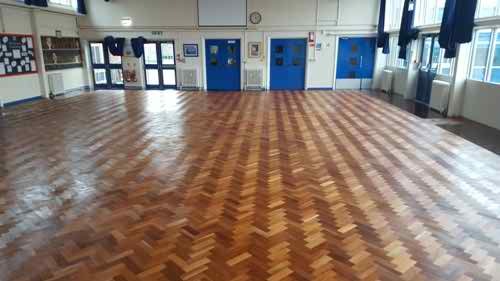 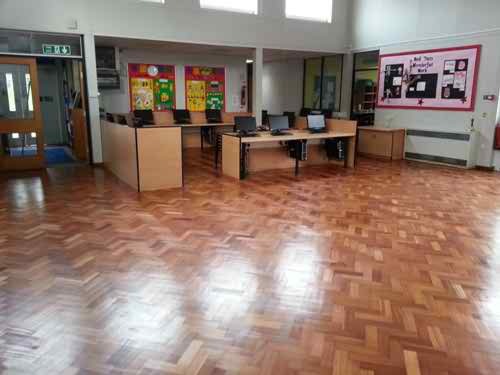 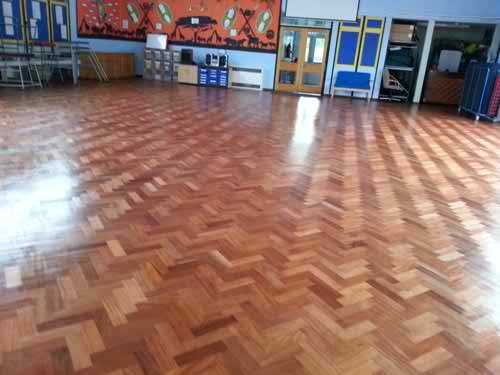 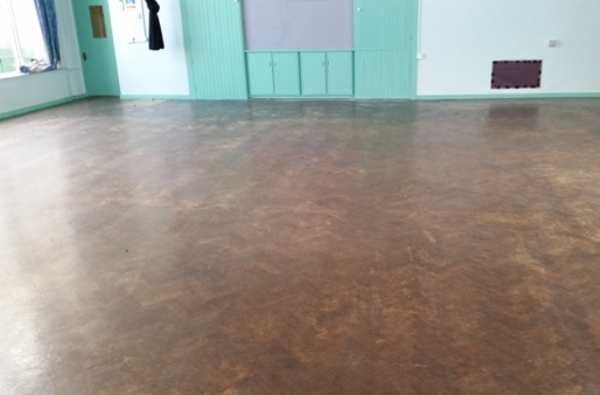 parquet floor sanded and sealed.The school hall floor was sanded back loose parquet blocks reset and three coats of hard wearing satin finish polyurethane sealant applied. 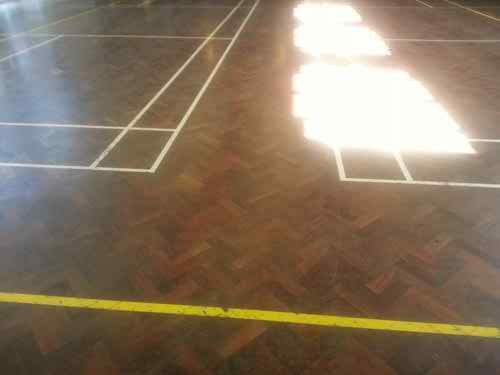 Granwood floor -Scrubbed back, deep cleaned and resealed with granguard sealant. 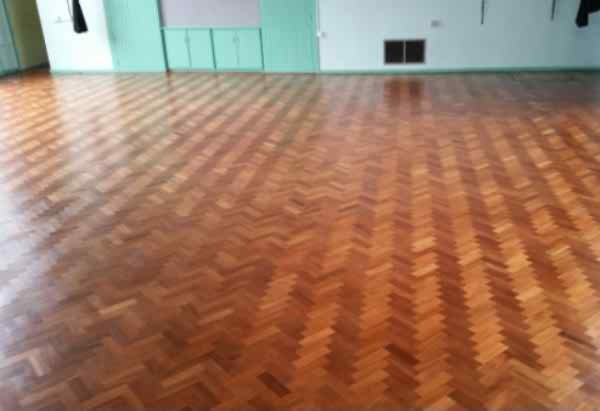 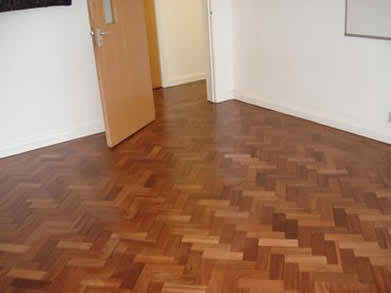 Fox wire parquet floor sanded, loose blocks repaired and re fitted, sealed with three coats heavy duty water based satin 2 pack Lacquer. 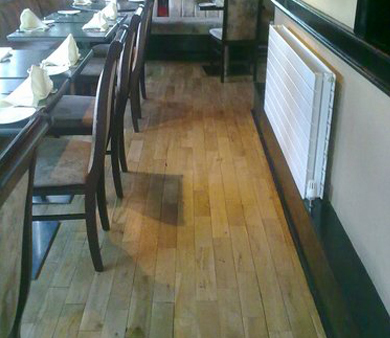 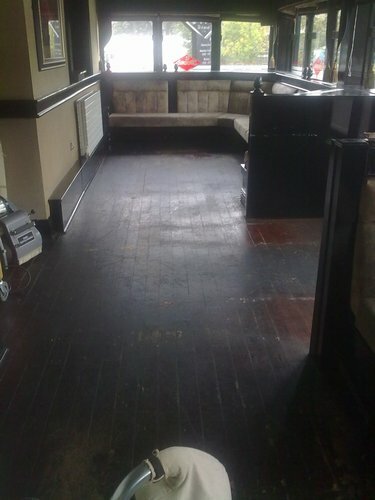 Restaurant -Before Floor Sanding and Restoration. 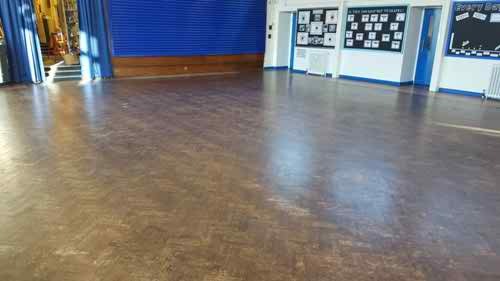 floor sanded back to remove the old stained finish and sanded back to the woods natural state, one coat of clear waterbased satin finish sealant applied, meshed back to a smooth finish and two further coats of heavy duty clear sealant applied to complete the restoration. 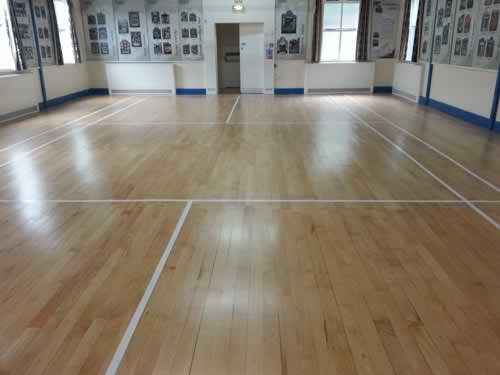 Floor sanding and gap filling ,repairs carried out and the courtmarking of one badminton court. 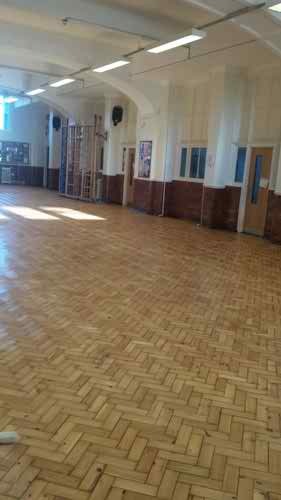 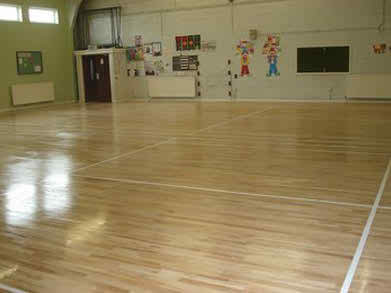 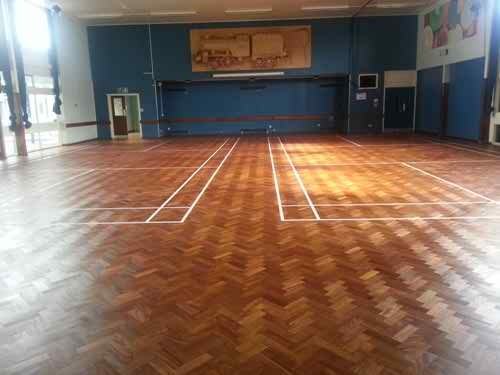 Parquet school hall , sanded, repaired and restored plus line making of two badminton courts. 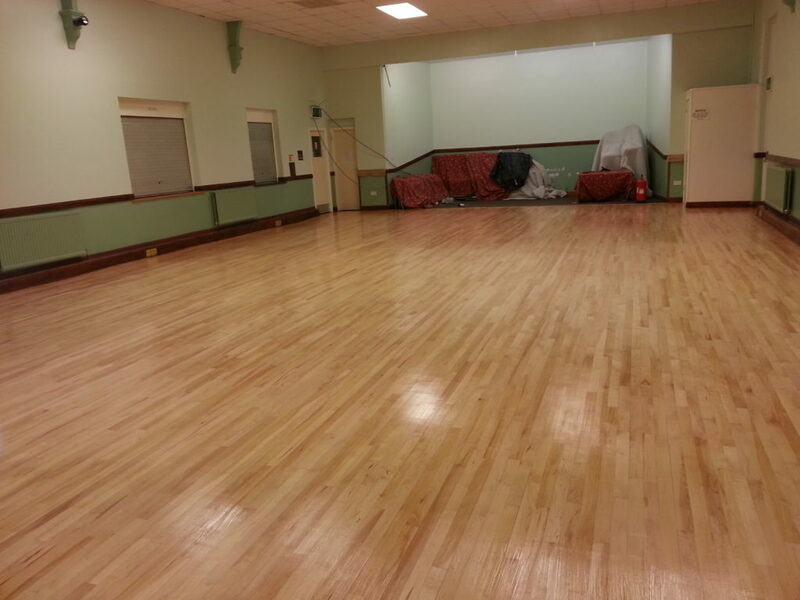 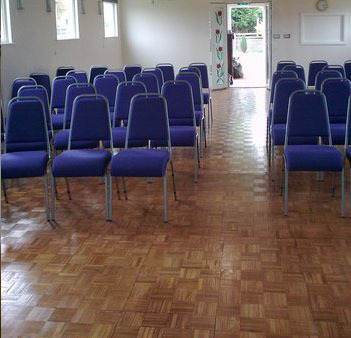 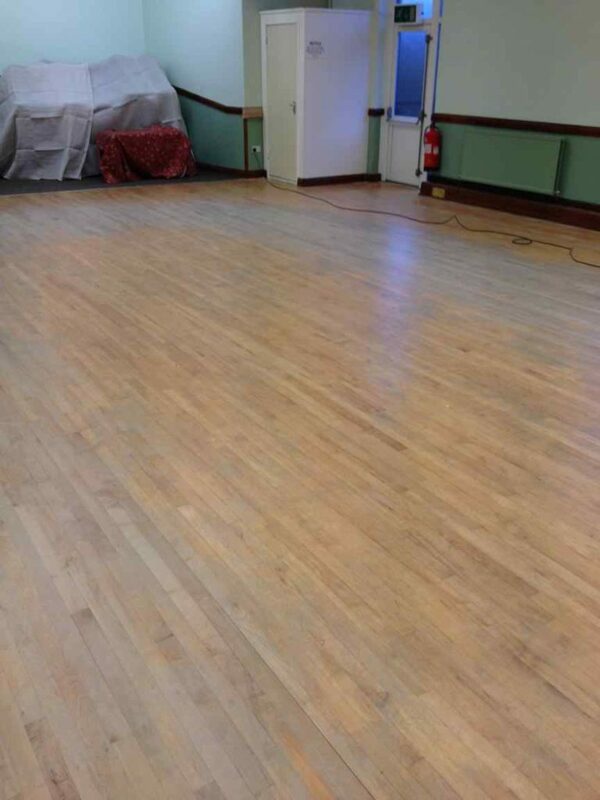 Bramley Parish Hall was completely sanded down, one coat of satin finish sealant applied followed by one coat of heavy duty two pack lacquer, the floor was then smoothed using a fine grit sand paper and finishing machine, and a further two coats of heavy duty satin finish two pack lacquer applied to complete. 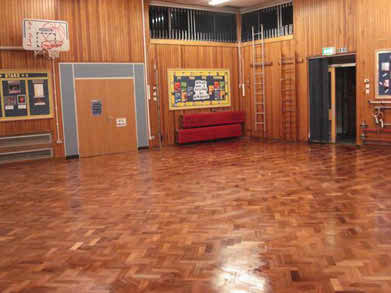 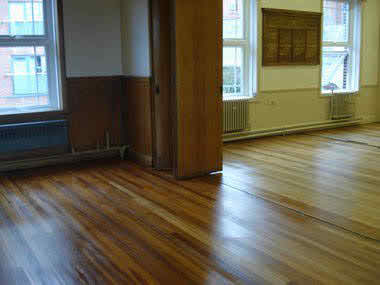 with four coats of heavy duty quality waterbourne silk finish floor sealant applied to complete the restoration project. 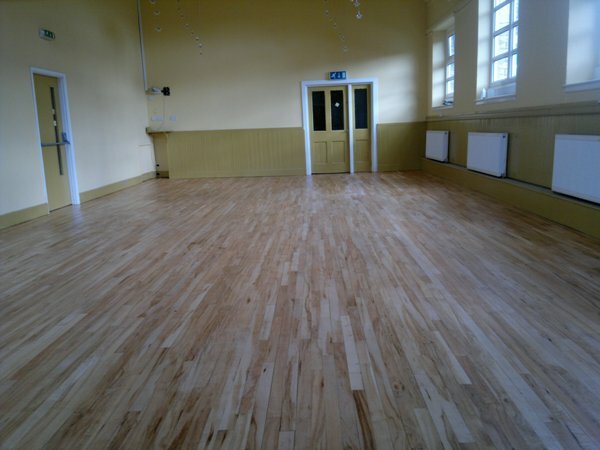 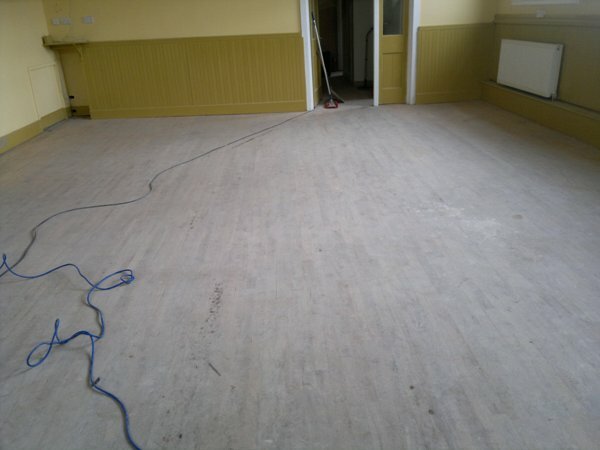 Community Centre Newly Restored Timber Floor. 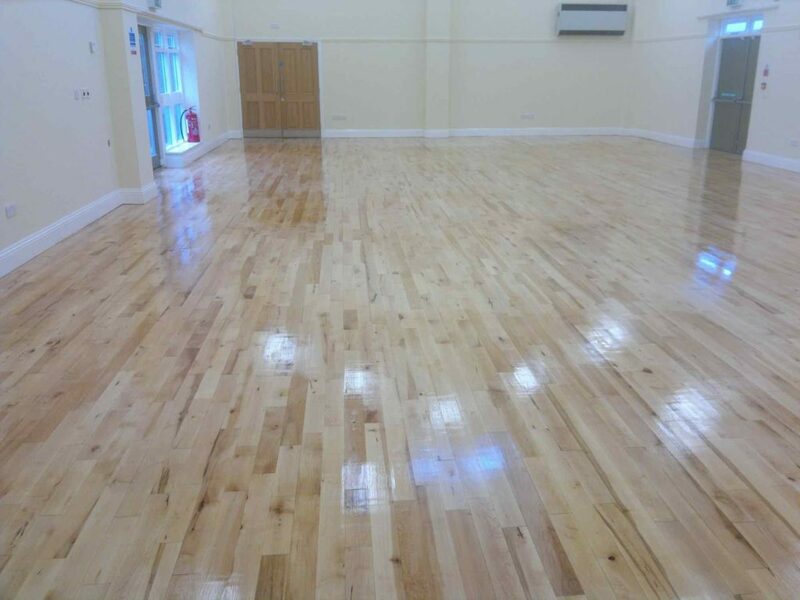 98% dust free sanding , one coat of heavy duty gloos sealand applied, meshed back to a smooth finish and three coats of Induro lacquer applied to complete. 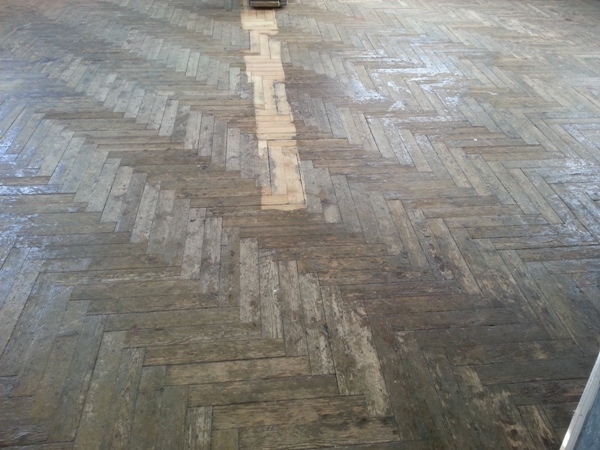 After – sanding and restoration with four coats of satin finish lacquer applied. 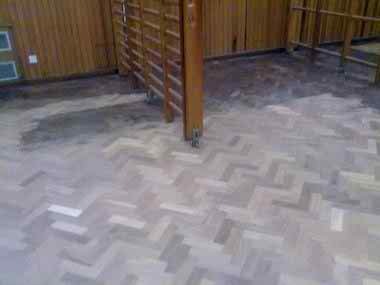 old and worn parquet floor in a school. 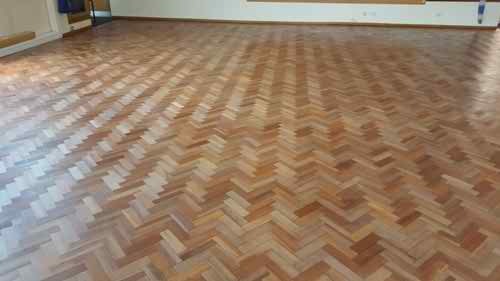 After Resoring the parquet floor.